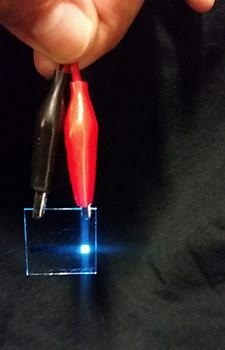 Chemists at USC Dornsife have discovered an inexpensive way to illuminate TV screens and smartphones, which could save both consumers and manufacturers a considerable amount of money without compromising the visual quality. According to their study reported in the journal Science on February 8th, 2019, copper provides the ultimate solution. The current technology that is in every Samsung Galaxy phone, high-end Apple iPhone and LG TV relies on iridium compounds for the colors and light on OLED screens. We have been using iridium because you get a highly efficient light emission, but it is the rarest naturally-occurring element on Earth. One of our challenges has been to come up with an alternative that is more abundant. Mark E. Thompson, Chemist, USC Dornsife College of Letters, Arts and Sciences. Thompson is also the Ray. R. Irani Chairman of the Occidental Petroleum Corporation Chair in Chemistry. Previous attempts to develop a copper-based OLED had failed. In those studies, the copper complexes had weaker structures; the molecules were not stable and had shorter lifetimes when compared to the iridium compounds. The issue of availability is indeed solved by copper, because this metal is abundantly available across the world. By contrast, iridium is found in just a few places—predominantly in parts of Asia as well as South Africa. The most extensively-accepted theory explaining the scarcity and origins of iridium is that this metal traveled to Earth on a meteor—the same one that killed the dinosaurs 65 million years ago. Until another meteor similar to the one hits Earth, iridium supply will continue to dwindle. Demand for this metal is only growing as a host of devices including TVs and smartphones, which feature OLED screens, gain popularity. OLEDs have come to substitute LCD and LED screens. Each pixel in an OLED screen produces light, while pixels are illuminated by an LED backlight in the case of LCD screens. In addition to its scarcity, iridium has another disadvantage for OLED technology that has puzzled chemists for over 20 years—that is, weaker molecules for producing blue light. Upon exciting the molecules in the iridium compounds, they produce two of the primary colors of OLED screen—green and red— quickly, very efficiently, and in devices that provide extremely long operational lifetimes, stated Thompson, whose laboratory designed the iridium-based green and red molecules. Blue—the third requisite color—has been the bane of OLED technology, since blue emissive OLEDs possess a short lifetime. Thompson elucidated that within the blue molecules, the bonds have a tendency to break down. In addition, blue molecules need more amounts of electricity when compared to the red and green molecules to energize them. As blue is among the primary colors for OLED, its poor performance can impact an array of colors that are seen on a screen containing any blue color. Thompson’s group might have solved that problem as well, with their novel copper complex—a stiffer molecular complex than the previous, failed prototypes of copper compounds, which were found to be weaker. The rate of light emission of the novel compound also correlates with that of the iridium; hence, the energy is efficiently changed into color and light, discovered the chemists. Our paper lays out the basic design rules for obtaining iridium-like emission efficiencies out of copper, with colors ranging from blue to green and yellow. Achieving efficient blue emission out of copper compounds opens up entirely new possibilities for tackling the problem of short lifetimes in blue devices. Rasha Hamze, Study Lead Author, University of Southern California. Hamze is a USC Dornsife alumna who recently started working for Universal Display Corporation. The USC team has submitted a patent application for its copper compound. Thompson added that he now intends to see if these copper compounds could also result in the development of more energy-efficient lighting. Apart from Hamze and Thompson, the study’s co-authors include USC Dornsife chemists Daniel Sylvinson, Moonchul Jung, Jose Cardenas, Ralf Haiges, and Peter I. Djurovich, and also scientists at the joint laboratory of University of California, San Diego-Le Centre National de la Recherche Scientifique (CNRS): Jesse L. Peltier, Rodolphe Jazzar, Michele Soleilhavoup, and Guy Bertrand. The study was funded by the Universal Display Corporation—where Hamze is currently working—and National Science Foundation grants DGE-1650112 (for Peltier) and CHE-1661518.